The UK's No.1 Photo Mouse Mats! Look cool and be comfortable when using your mouse. These Neoprene Fabric Mouse pads measure 230 x 190 x 3 mm and feature a non-slip rubber backing. Still soft from the top these mats can feature any of our 400+ designs or you can even personalise one with your own photo. Each mouse mat is made to order especially for you and we offer FREE SHIPPING on this product too! Contact us if you have any questions and we'll be more than happy to help! 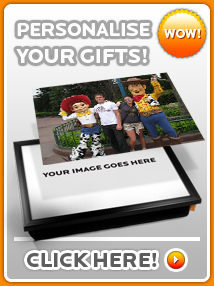 Personalise your mouse mat with your own photos for that super special gift. Simply upload your photos in the Browse field and click 'Add To Cart' to start the upload. Make sure to choose the frame colour for each of your photos too! Bear in mind that the frames are square in shape so ideally your photo's subject should be fairly central so that we can crop accordingly. Do get in touch if you have any questions or email over your photo to info@kicoproducts.co.uk and we'll check them for you.